The following webpage is a working compilation of relevant articles in relation to e-cigarettes and vaping products for consumers, parents and health professionals to become more informed. This page will be regularly updated. Asthma and Respiratory Foundation NZ acknowledges that we need to support smokers who want to quit, but also calls for the need to protect the wider community’s children and young people from taking up e-cigarettes and vaping in the first place. These articles highlight just some of the statistics coming out of USA where e-cigarettes and vaping products have been available for over 10 years. The average nicotine level in a traditional cigarettes is between 6.17 to 12.65 mg (Taghavi S, Khashyarmanesh Z, Moalemzadeh-Haghighi H, et al. Nicotine Content of Domestic Cigarettes, Imported Cigarettes and Pipe Tobacco in Iran. Addiction & Health. 2012;4(1-2):28-35) but some e-liquids available in New Zealand can have up to 24mg of nicotine. Spending on e-cigarette advertising has increased rapidly since 2011. 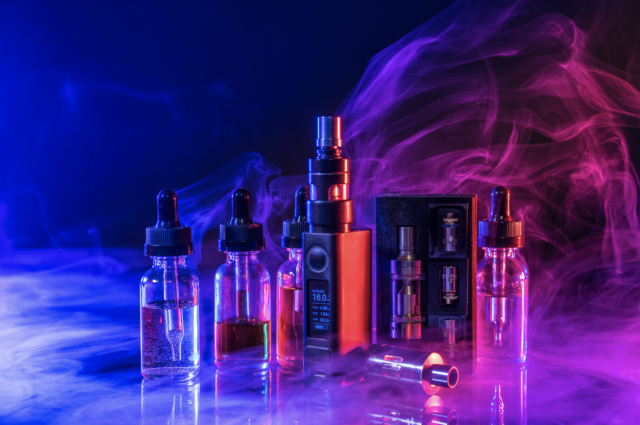 Global Vapor Products Market Forecast 2018 - 2023: What the current market and is and it is expected to gross $43 Billion by 2023. Are e-cigarettes really 95% less harmful than traditional tobacco cigarettes? The ‘e-cigarettes are 95% less harmful than normal tobacco cigarettes’ claim came from an expert panel review. The Lancet (a highly reputable journal in the medical community) provides a simple overview of the study (Vol 386 August 29, 2015). There was a “lack of hard evidence for the harms of most products on most of the criteria”. “There was no formal criterion for the recruitment of the experts”. In other words, the opinions of a small group of individuals with no prespecified expertise in tobacco control were based on an almost total absence of evidence of harm. In order to make this claim, the study needs to rely on the highest quality evidence, which this study falls short on. The potential dangers of nicotine inhalation during e-cigarette use are highlighted. There has been an increase in e-cigarette usage in the USA in the past 5 years due to age restrictions on conventional cigarettes, aggressive marketing and a perception that e-cigs are a healthy alternative. E-cigarettes – a potential time bomb? Tobacco Free Kids is a useful website from the USA where you can get more information. Juul has sky rocketed to popularity in the US, it's predicted it’s a matter of time before it becomes popular in New Zealand. Juul e-cigarettes are sleek, high tech and easy to hide. They look like a USB drive and can be charged in a USB port. The product comes in sweet flavours and is very appealing to youth. It also appears to deliver nicotine more quickly, more effectively and at higher doses – which is a concern to the younger market in particular. 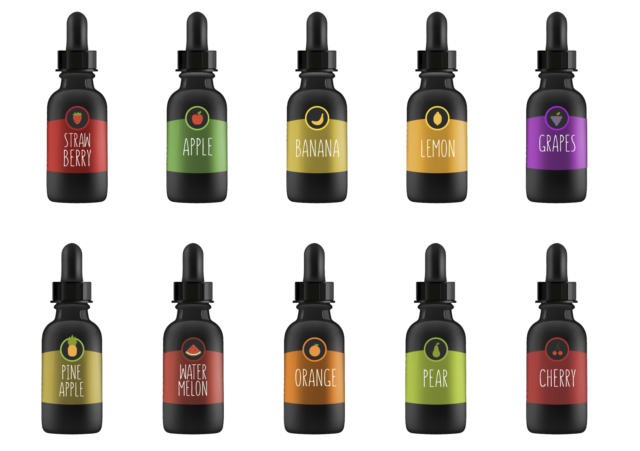 The American Thoracic Society report that a new study has found that a common e-cigarette flavouring has chemical characteristics similar to toxic chemicals found in cigarette smoke. These chemicals disrupt an important mechanism of the lungs' antibacterial defence system. "E-cigarette emissions contain chemicals that have not been evaluated for inhalation toxicities," said Dr. Clapp. "The inhalation of flavouring agents, which are frequently reactive aldehydes, poses a significant unknown in regard to the potential health risks of e-cigarette use as many of these chemicals are structurally similar to toxic aldehydes in cigarette smoke. Moreover, aldehyde flavouring agents are often used in exceedingly high concentrations in e-cigarettes, which may lead to high exposure doses." Talk to your mid wife or medical professional as soon as possible if you are pregnant, thinking of becoming pregnant or suspect you might be pregnant and are a smoker or use e-cigarettes. There is some suggestion that e-cigarettes may be dangerous to the developing baby. Here is one article from 2017 highlighting some of the possible dangers, although more research needs to be done in this area. It is a case of watch this space as more evidence evolves. There is a discussion to be had with mothers about their personal circumstances and what may be the most appropriate way for them to keep themselves and their developing baby safe when it comes to smoking of any kind. E-cigarette advertising in the USA often features celebrities, cartoons or references to sweet flavours. "Teens who recalled seeing or liking e-cigarette ads were 1.6 times as likely to be open to trying e-cigs or to actually try them the next year as kids who didn’t remember the ads, researchers report online March 26 in JAMA Pediatrics." In this statement, the ERS discuss the contradictions of the tobacco industry’s claims to heated tobacco products. Heated tobacco products is a new nicotine delivery system that consist of a small tobacco stick which is heated rather than burned. The tobacco industry research claims a 90-95% reduction in harm compared to smoking traditional tobacco cigarettes. While the tobacco industry claims 90-95% reduction in harm, they have not disclosed the other harmful substances found in high concentration in their studies. Eg. particulate matter, tar, acetaldehyde (a carcinogen), acrylamide (a potential carcinogen) and an acrolein metabolite (toxic and irritant). That even though heated tobacco products may perhaps be less harmful for smokers they nevertheless remain both harmful and highly addictive. ERS cannot recommend any product that is damaging to the lungs and human health. There is no current evidence that heated tobacco products are efficient as a smoking cessation aid. Heated tobacco products, regular tobacco smoking and smokeless tobacco for oral or nasal use are all addictive and carcinogenic to humans.